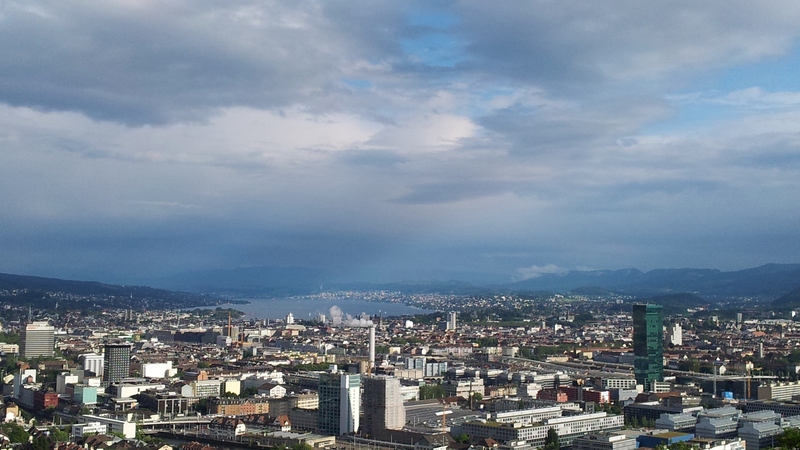 Cultural stereotypes and a trip to Zurich. | Where's Zoe now? Cultural stereotypes and a trip to Zurich. “You’re going to Switzerland? Lovely country, pity it’s full of Swiss people,” said an Italian acquaintaince, who cheerfully conformed to stereotypes about how northern Italians view the Swiss. And then the next morning everyone was up and about at 7am. I hadn’t really lived in Italy long enough at that point to have a right to be aghast at this, but I was. The awkwardly-positioned incinerator tower kind of detracts from the view through to the lake. And while I wouldn’t want to live in Zurich, it was a pleasant place for a few days in summer. Especially since non-Italian food was available, which was an exciting novelty for me after a few months in Turin. You know why I tend to travel alone? Because my sense of direction stops working when I’m with other people. By myself, I navigate like a champ. Before I bought a smart phone 3 years ago, I’d have a look at a map before travelling to a city, then jump on a city bus from the airport and get off near my hotel based on “these streets look about right”, and it would work. With a travel partner, I confidently navigate us to completely the wrong part of town, forget the name of the street I’m looking for, and hop on buses going the wrong way. This entry was posted in Italy, Switzerland and tagged cultural differences, expat, living abroad, travel, Zurich on May 17, 2015 by Where's Zoe Now?. Haha! Thanks for sharing this.